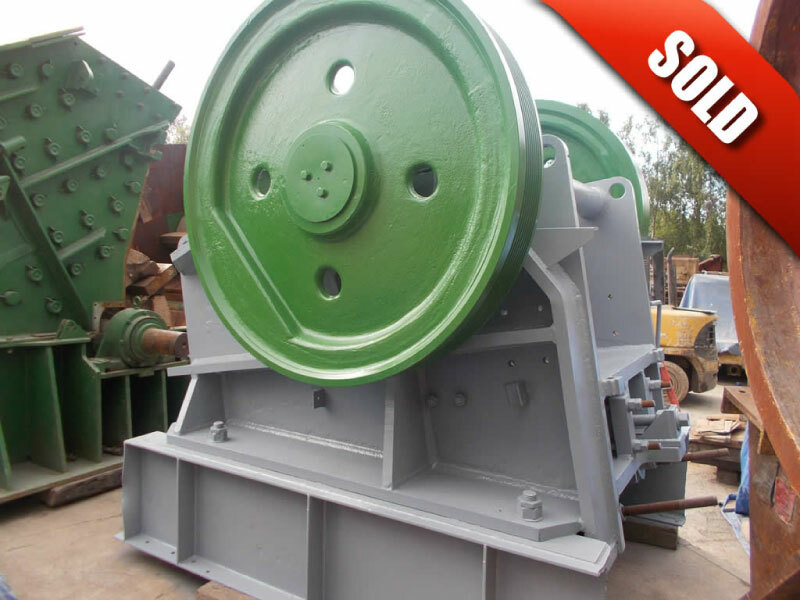 Located in Nairobi we are the leading suppliers of quarry plant and quality crusher spares in Kenya and throughout East Africa. Machines currently stocked at our yard in Athi River, Nairobi, Kenya. 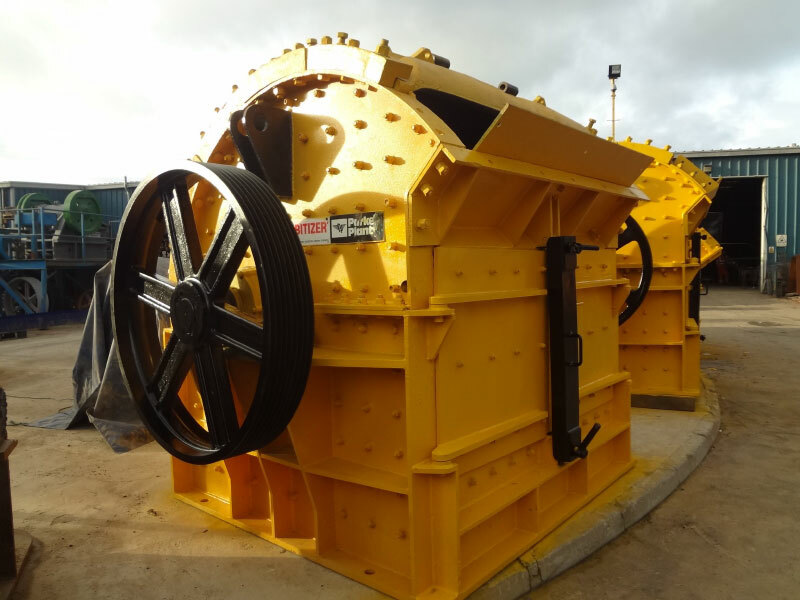 We have over 50+ machines in stock at our U.K. headquarters. 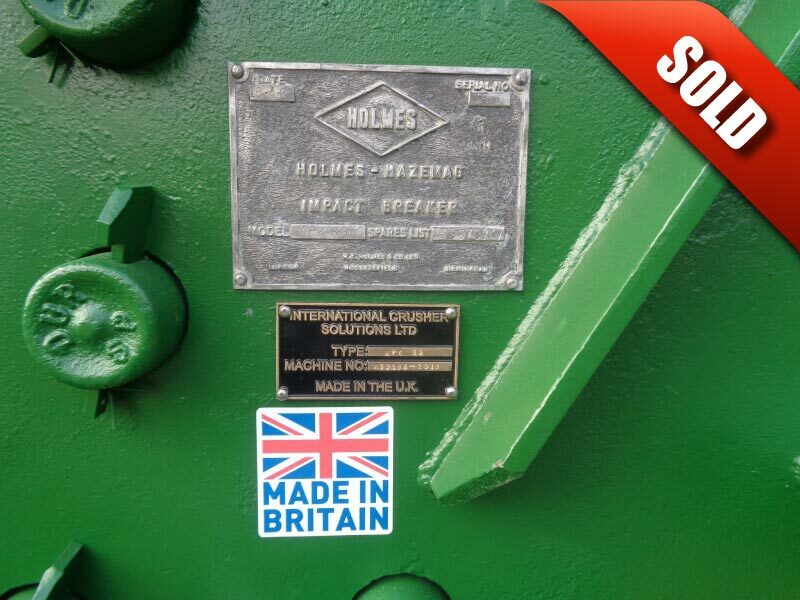 These can been seen by visiting our U.K. Website. We hold a vast stock of quality crusher spares and wear parts. 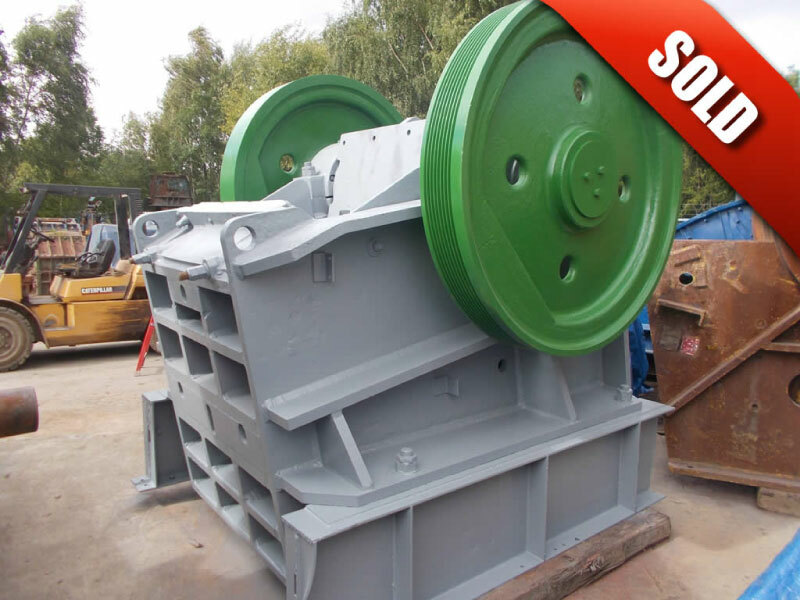 We stock jaws, cheek plates, pitmans, toggle plates, toggle seats and diaphragms for a wide variety of jaw crushers. 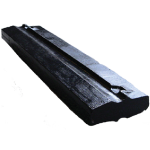 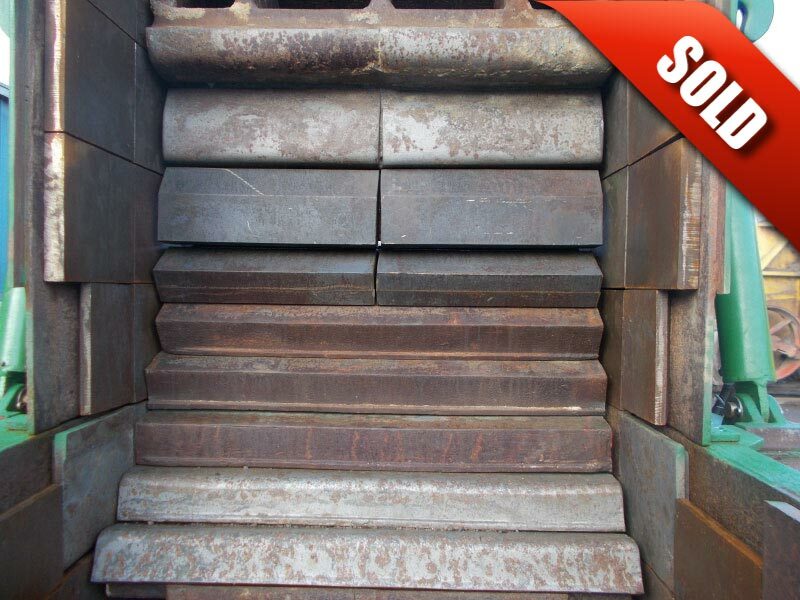 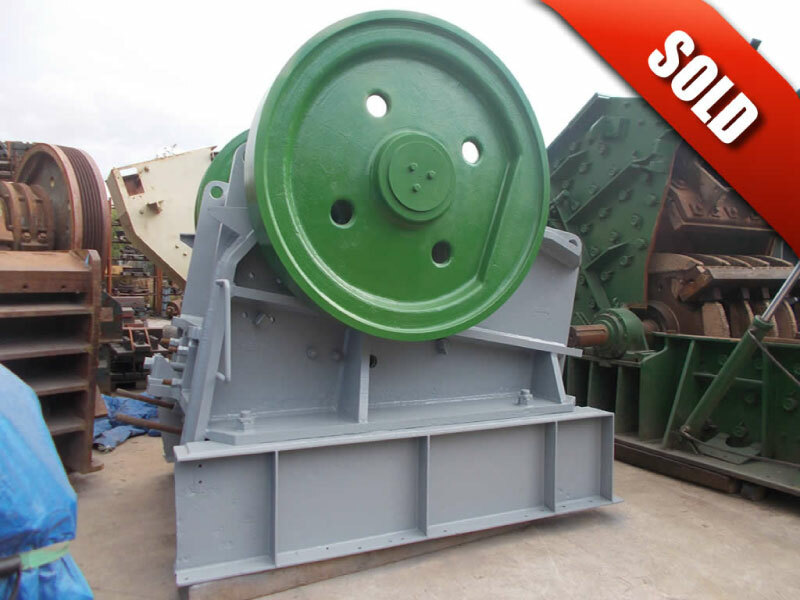 We stock blowbars, hammers, gridbars, lining plates and impact plates for a wide variety of impact crushers and hammermills. 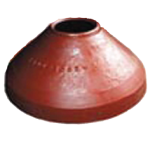 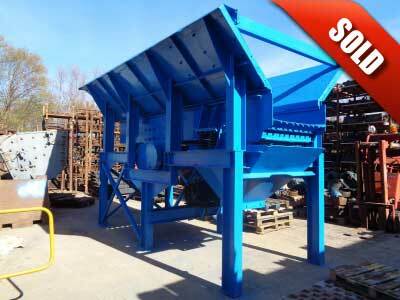 We stock bowls, bowl liners, mantles, feed cones and the most common parts for a wide variety of cone crushers. 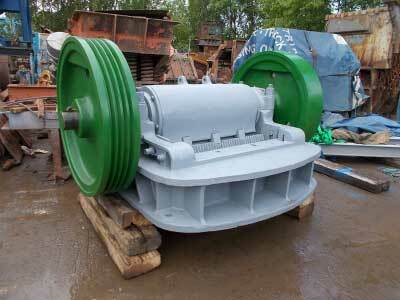 We offer a wide range of services to the quarrying industry. 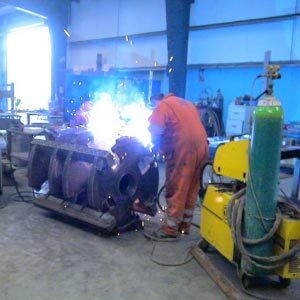 We are able to complete and manage “in house” all 3D designs, plant simulation, engineering, fabrication, construction, commissioning and if required training. 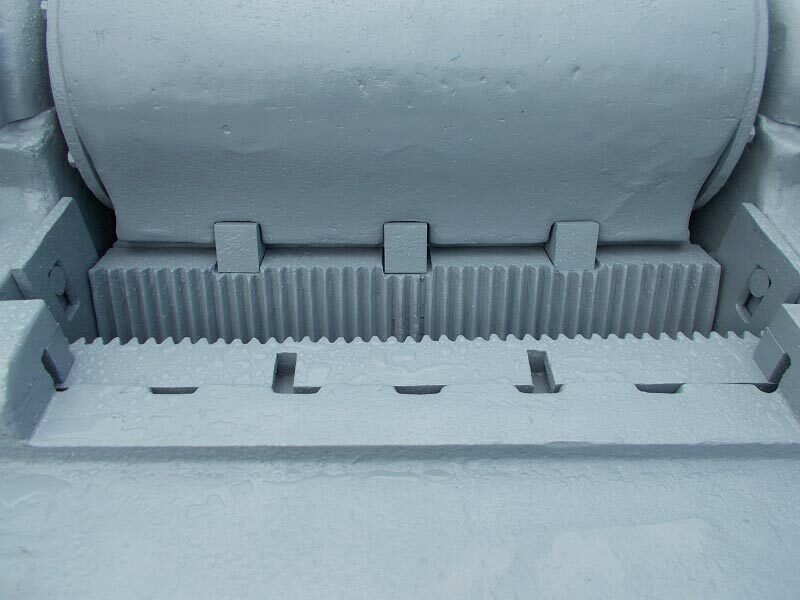 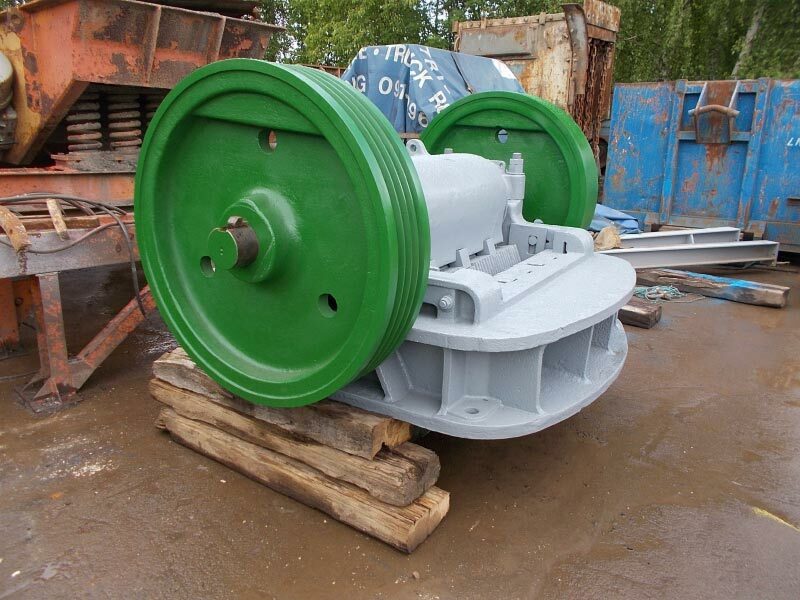 We are able to provide a first class machine refurbishment service and restore your existing machinery to 100% working condition using only quality wear parts. 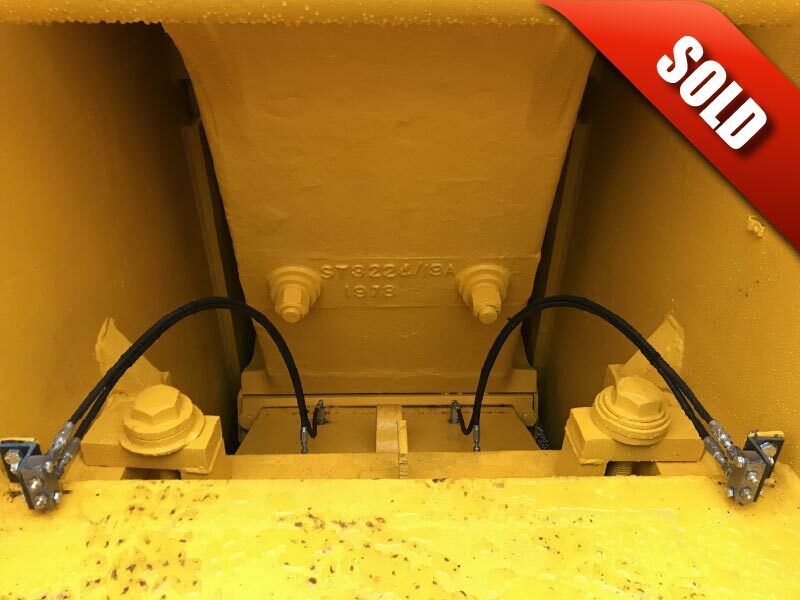 We offer a full on-site breakdown and maintenance service. 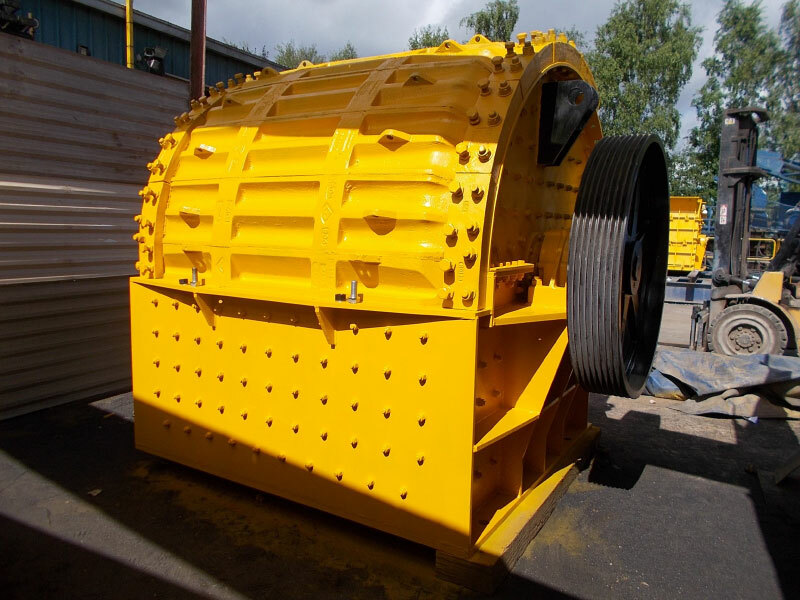 Our technicians will get your machine back into production with the minimum of downtime and disruption. 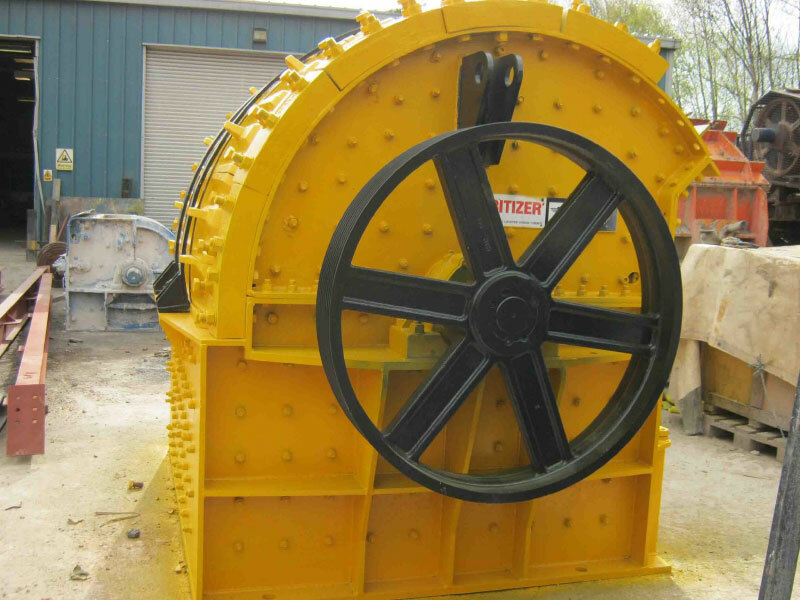 A brief history of International Crusher Solutions. 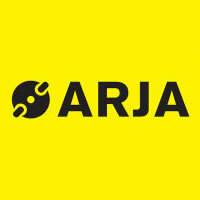 Appointed as the official Arja Agents in the U.K, Ireland and Tanzania. 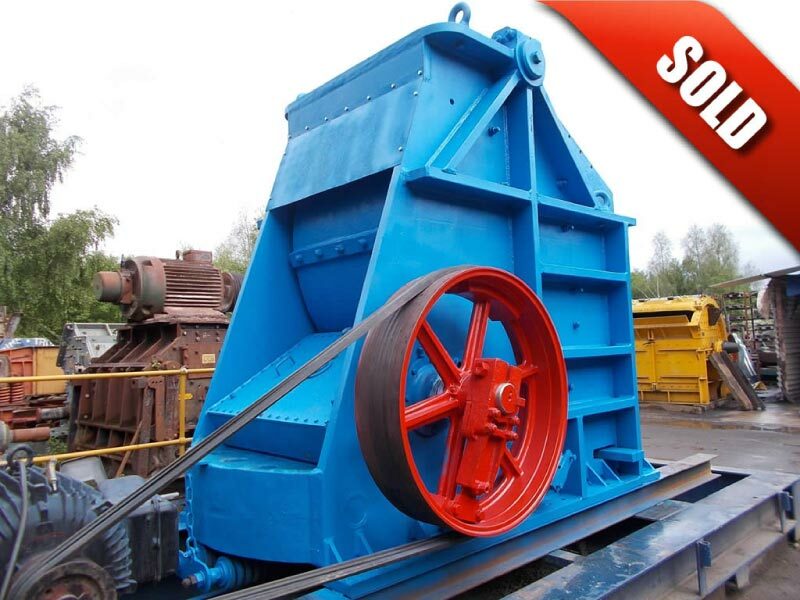 Arja specialise in primary and secondary impact crushers, jaw crushers, vibrating feeders, screens, conveyors and washing equipment. 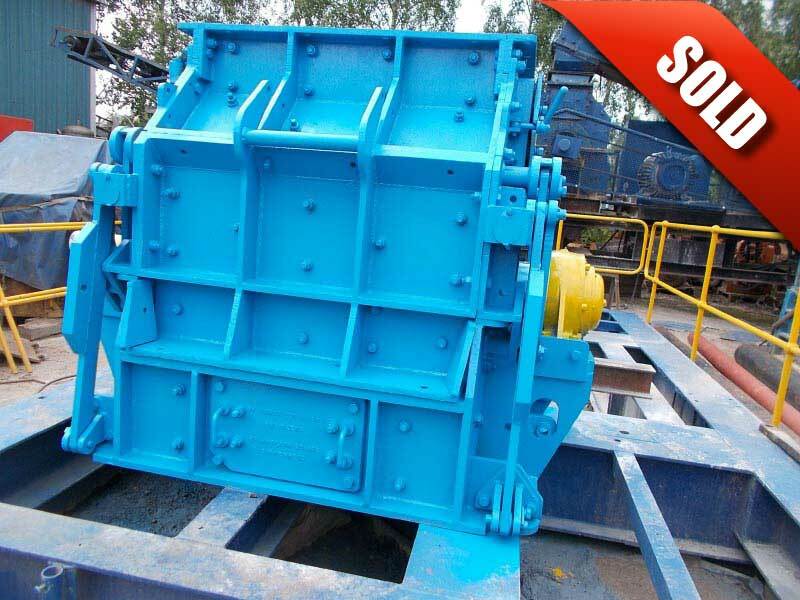 Arja have been in the crushing business for over 35 years and operate in over 30 countries. 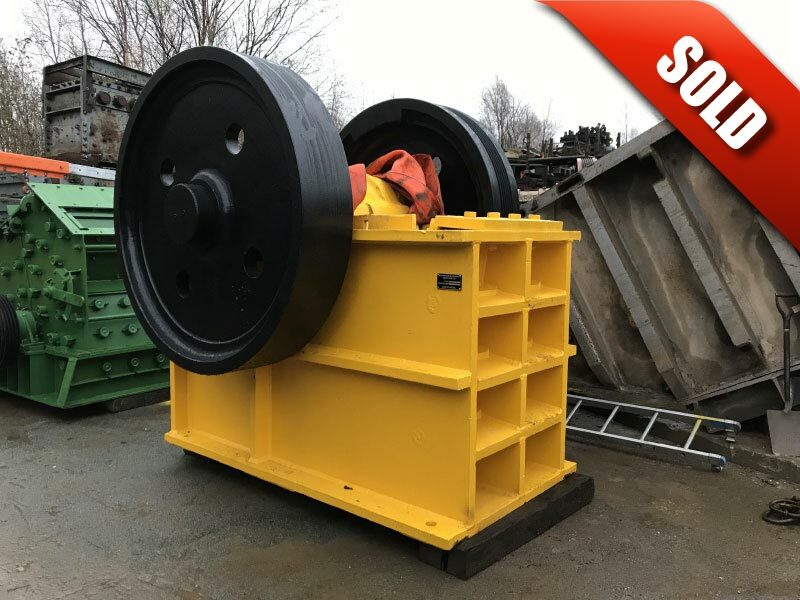 Due to the increase in our customer base and the increased demand of our quality crusher wear parts we were quickly outgrowing the premises in Bagillt. 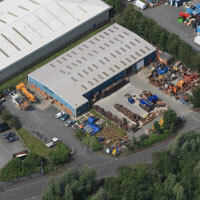 In 2008 we moved to larger premises not far down the road in Flint so we could continue to operate effectively and efficiently. 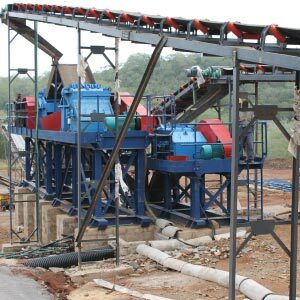 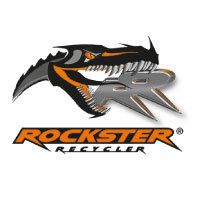 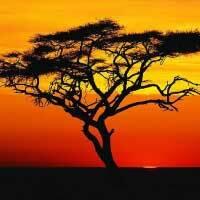 Appointed as the official U.K. and East Africa agents for Rockster Recycler. We are looking forward to developing our relationship with Rockster and our knowledge of their machines which will allow us to offer a range of brand new mobile crushers and screens we think will benefit new and old customers. 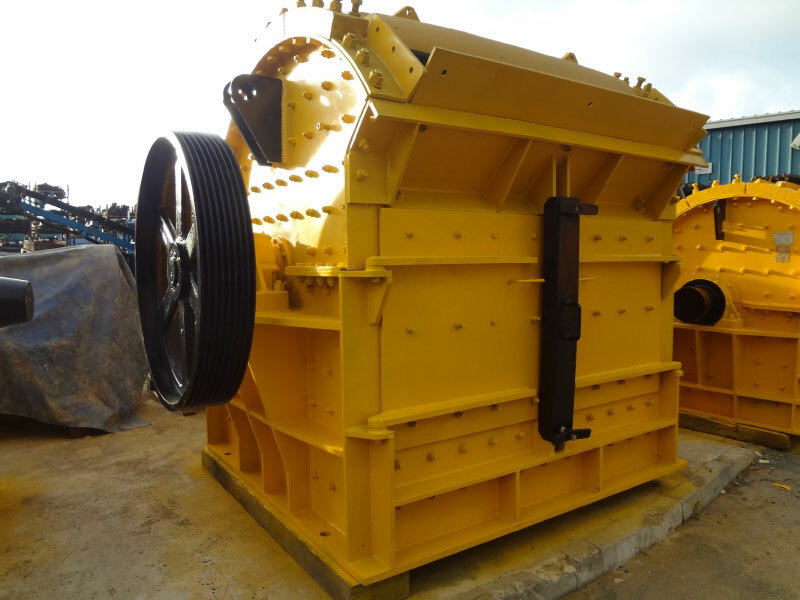 Due to increased demand of crushing machinery and crusher wear parts in East Africa and our increase in export sales to the region we decided to open up International Crusher Solutions (EA) Ltd. You are more than welcome to visit our yard which is located in Athi River, Nairobi, Kenya. 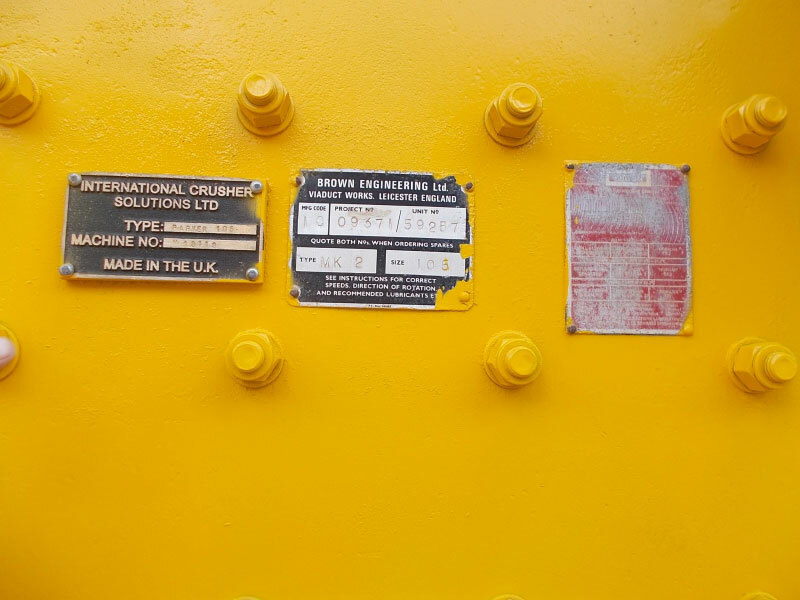 PO Box 47272, Nairobi, Kenya. 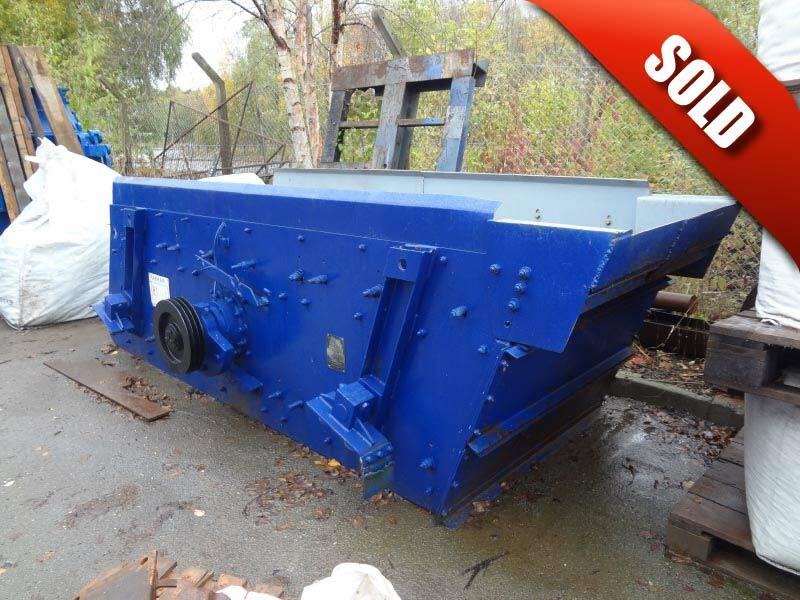 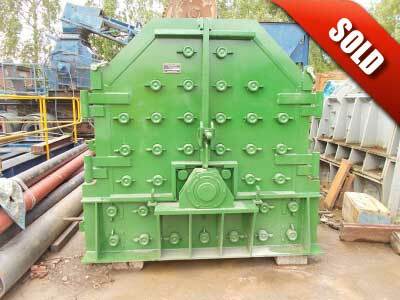 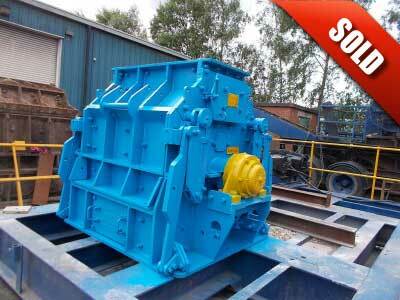 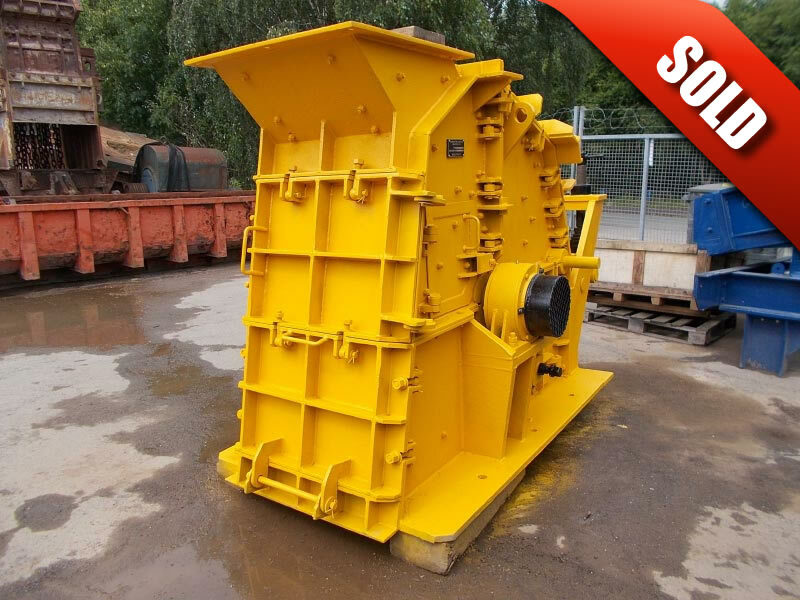 Baxter 32 x 22 Single Toggle Jaw Crusher capable of upto 140tph. 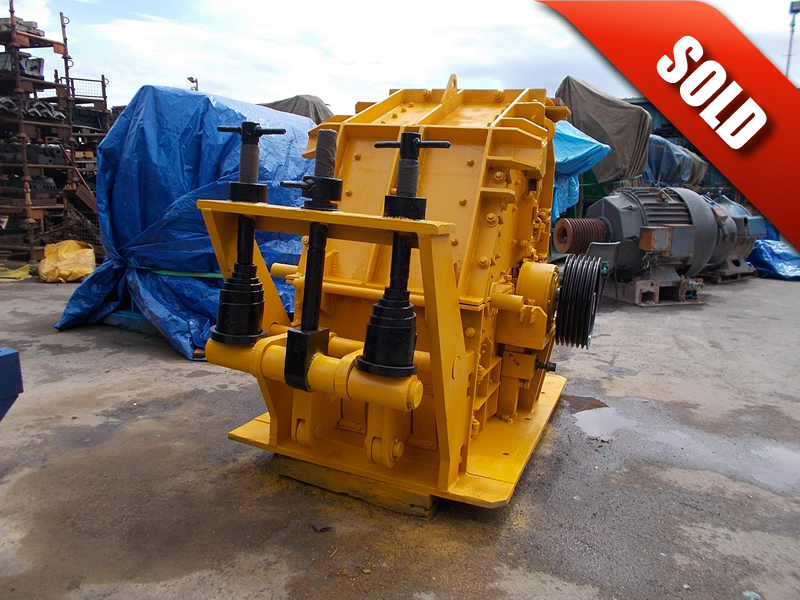 Refurbished with new wear parts where required. 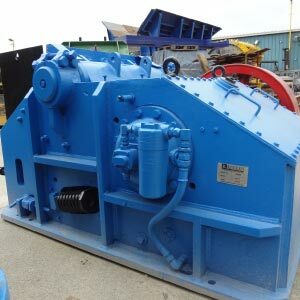 Complete with new 45kW motor and drives. 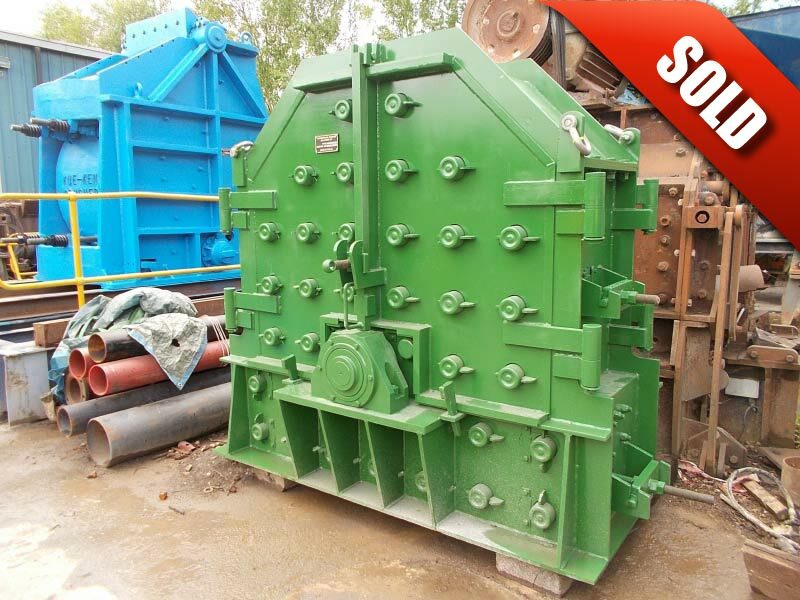 Hazemag APK50 Impact Crusher for high strength abrasive feeds. 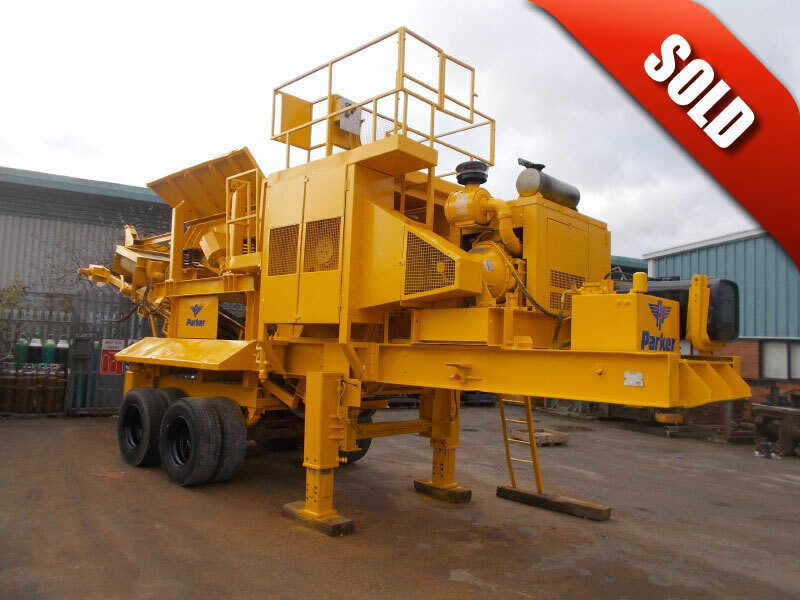 Fully refurbished with new wear parts where required. 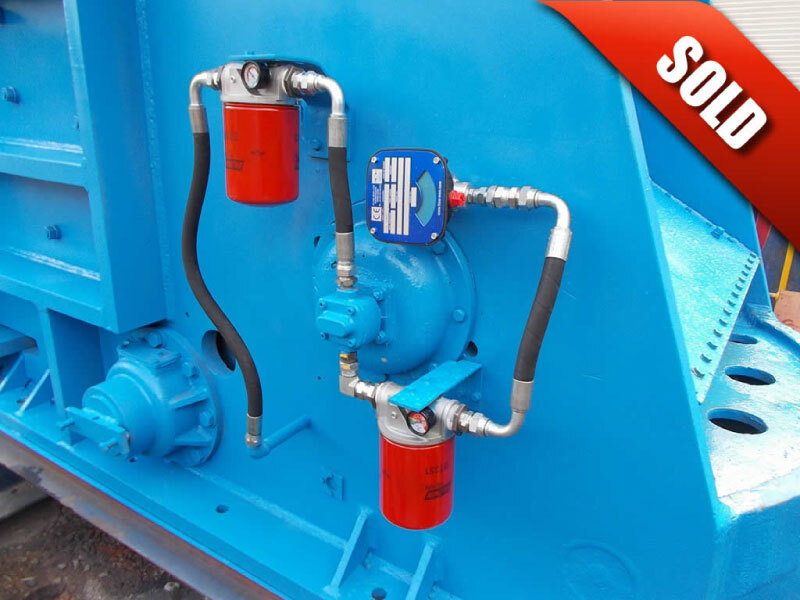 Can be supplied with motor, drives and hydraulic power pack as an optional extra. 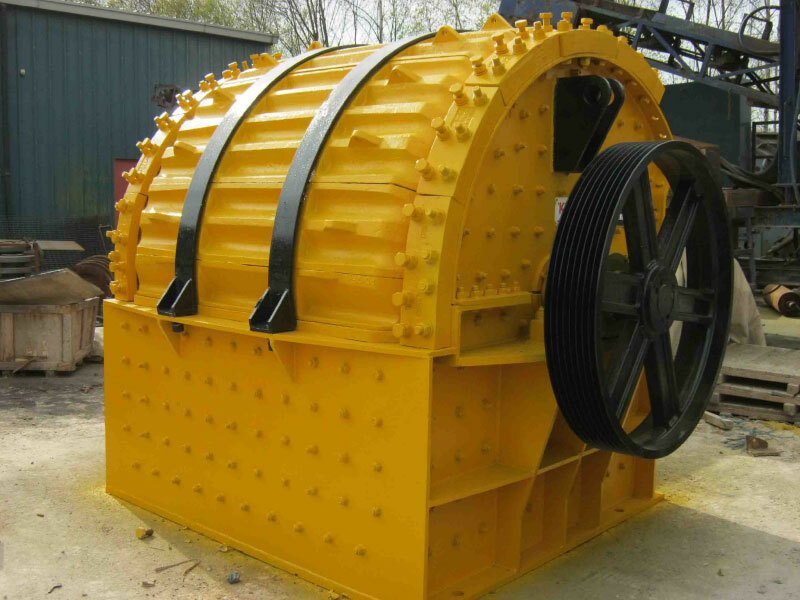 Twin shaft under-slung vibrating mechanism, mounted on eight heavy duty coil springs. 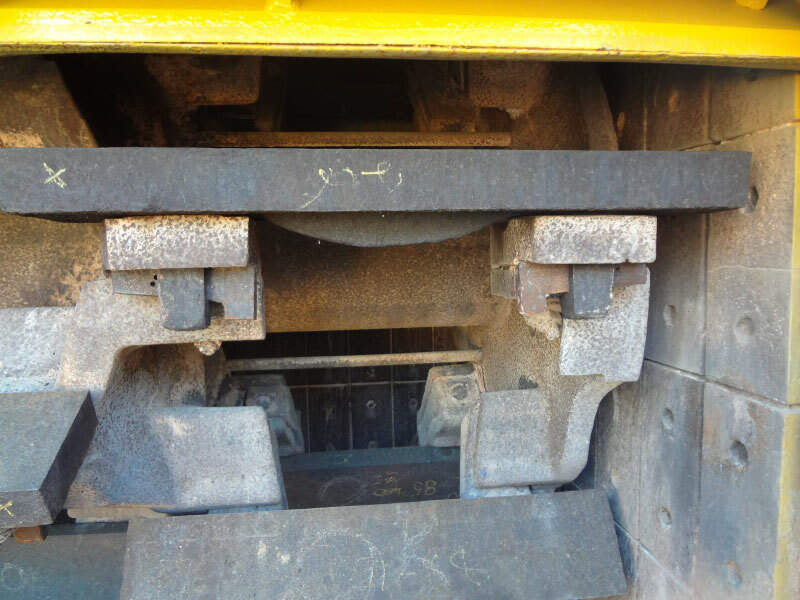 With 1200mm of grizzly section, spacing 70 to 80 mm. 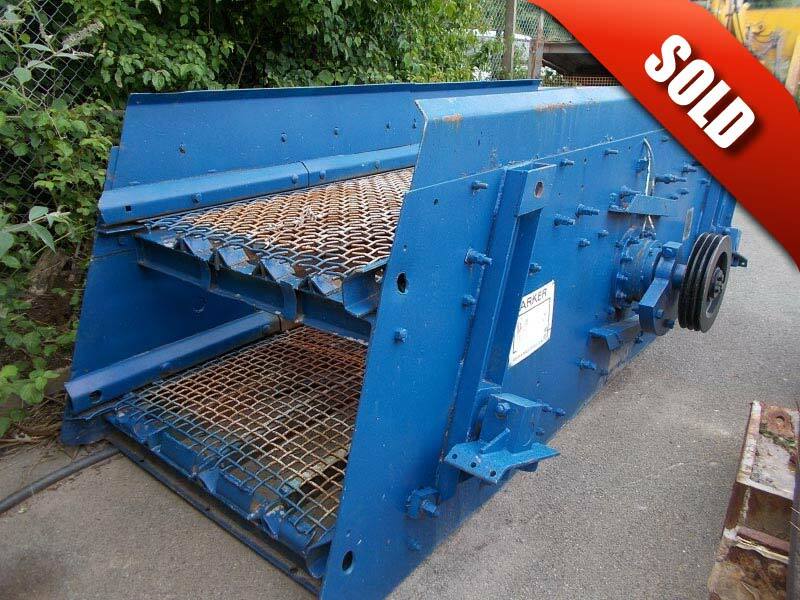 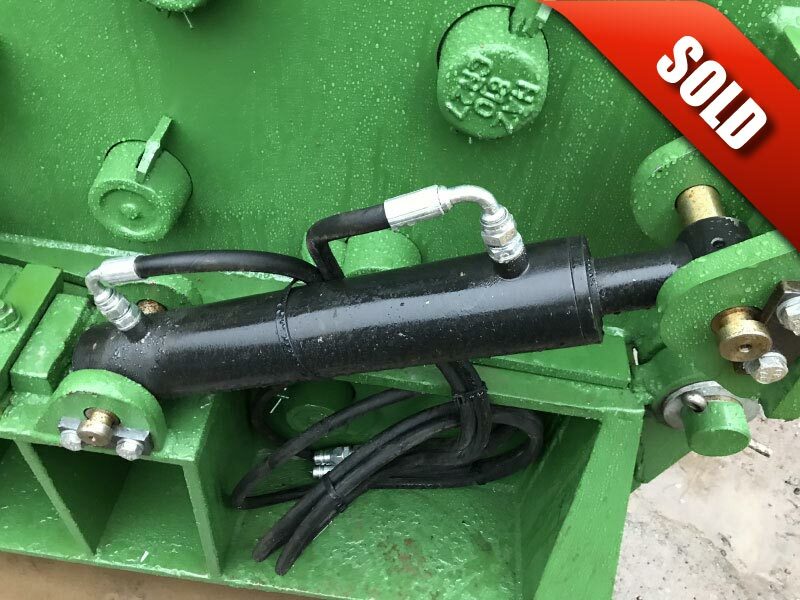 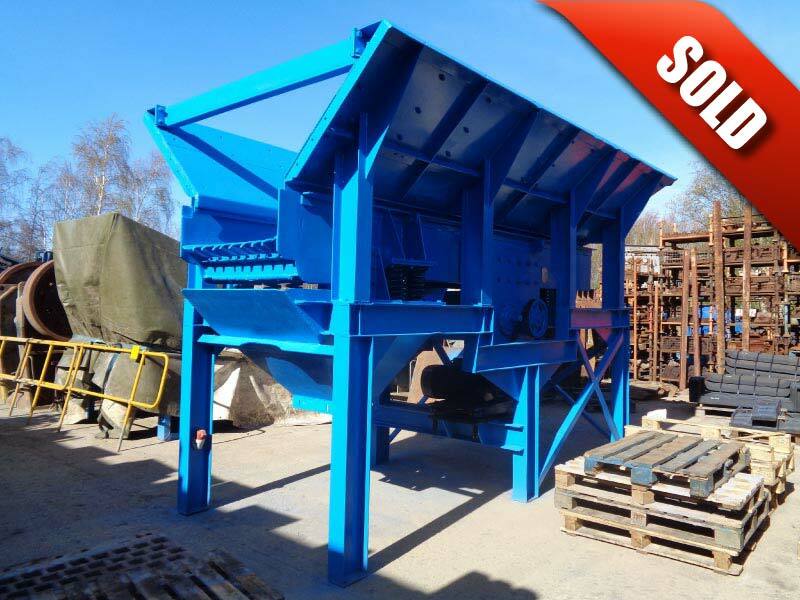 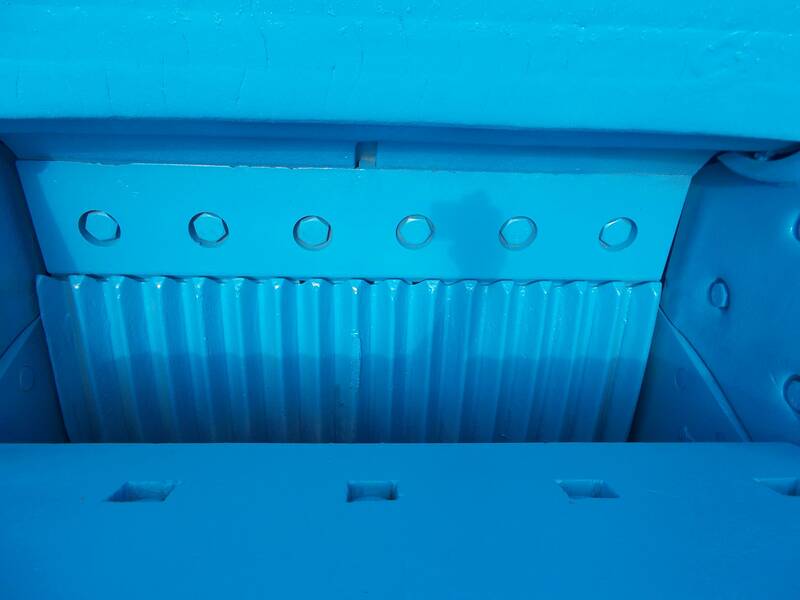 Heavy duty feed hopper with hard wearing steel liner plates & discharge chute. 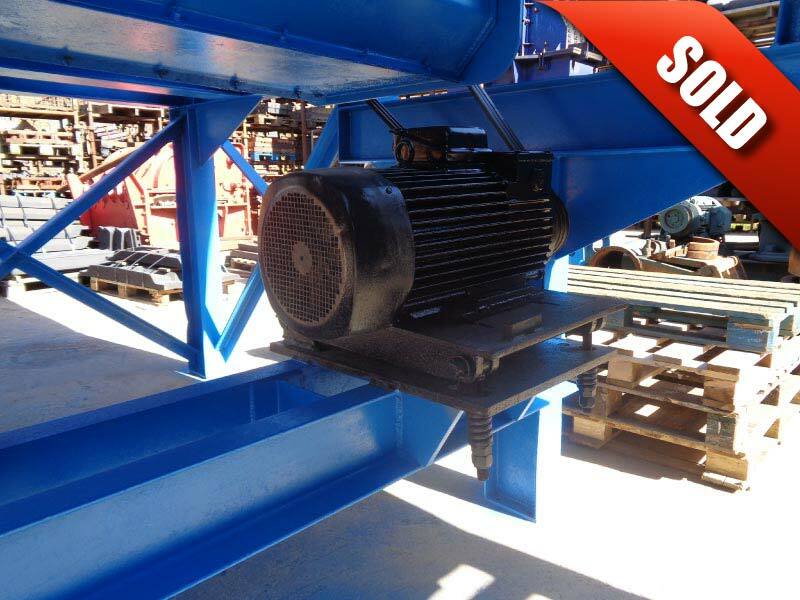 Complete with 20 HP electric motor and frame. 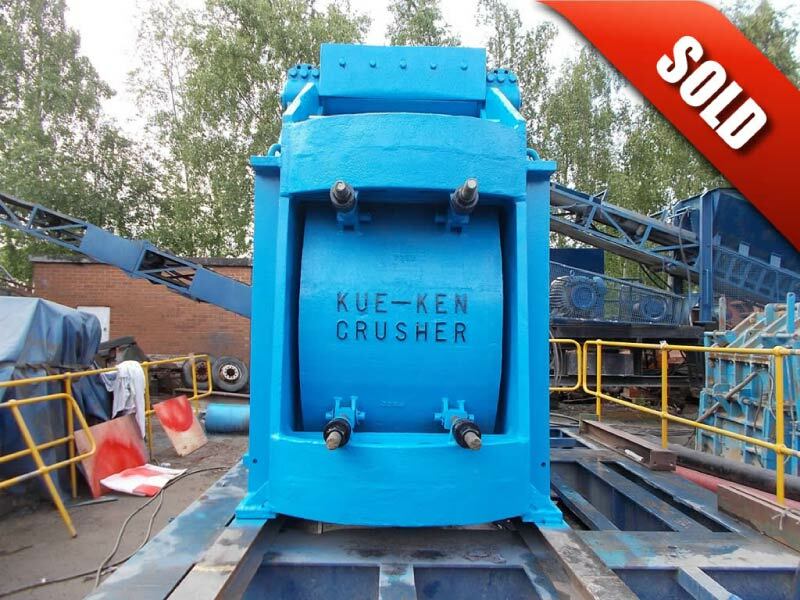 Kue Ken 120 (42" x 32") Double Toggle Jaw Crusher capable of up to 270 tph at 230mm and 140 tph at 100mm closed jaw setting. 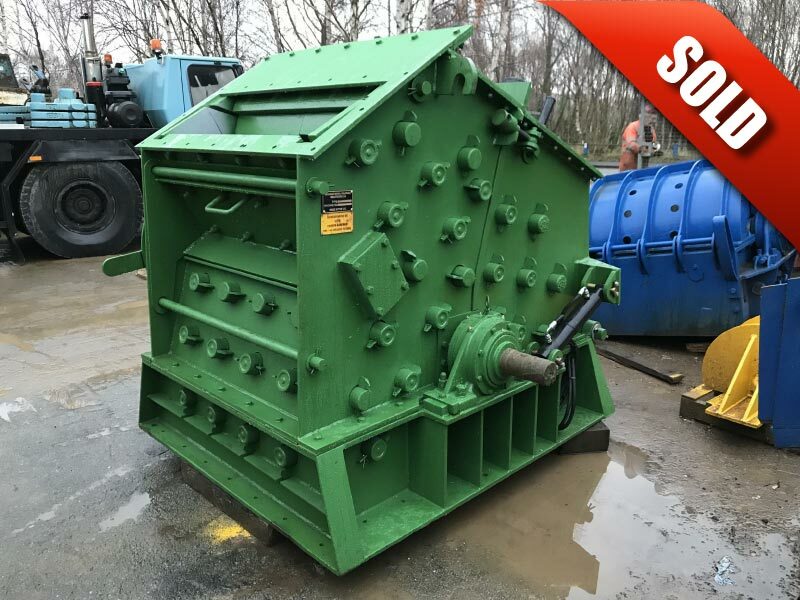 This machine is ready for work having been fully refurbished with new toggle assembly, new jaws, new cheek plates, new bearings, new seals and a new oil pump assembly complete with flow meter. 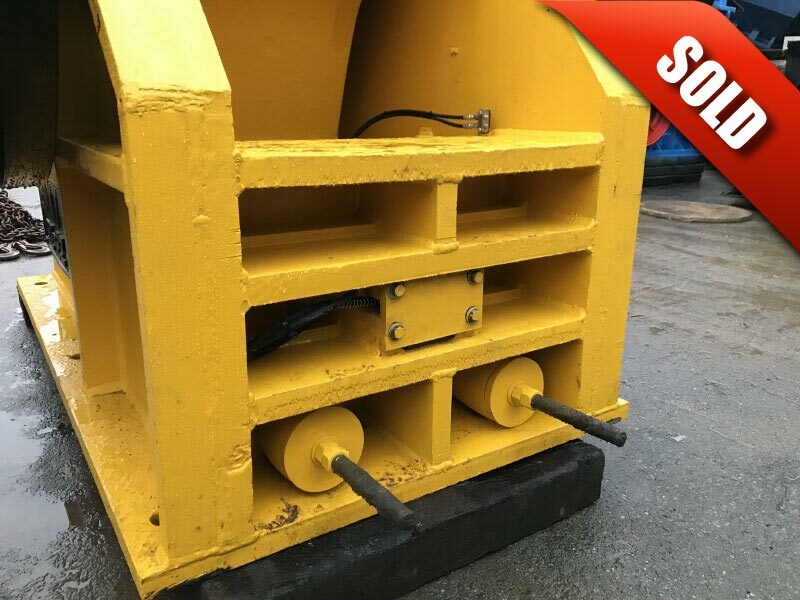 Can be supplied with motor and drives as an optional extra. 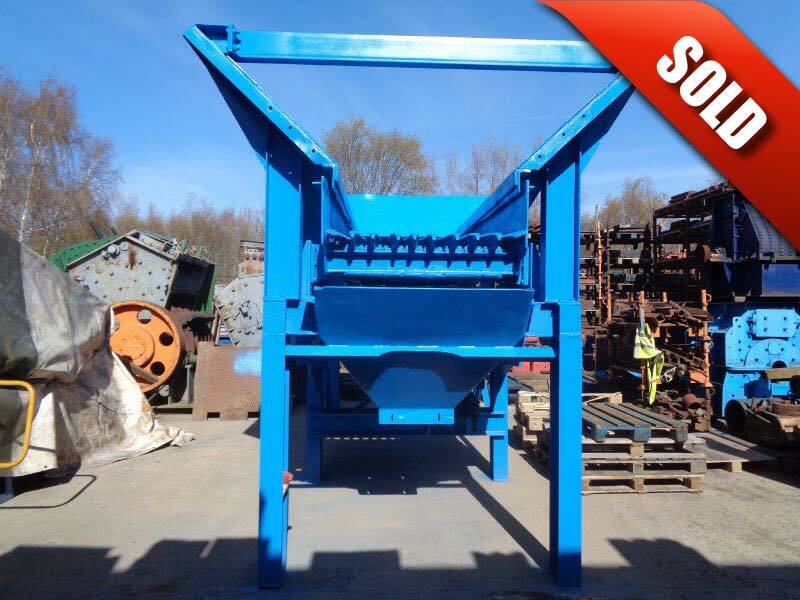 Hazemag APK 40 Impact Crusher for high strength abrasive feeds. Supplied with new 110kW motor, drives and hand pump. Fully refurbished with new wearparts, bearings and hard facing to rotor. 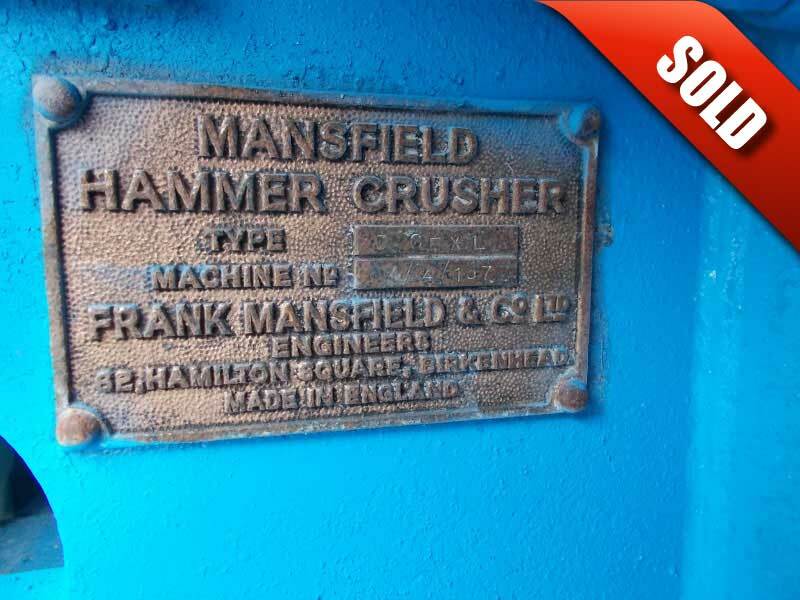 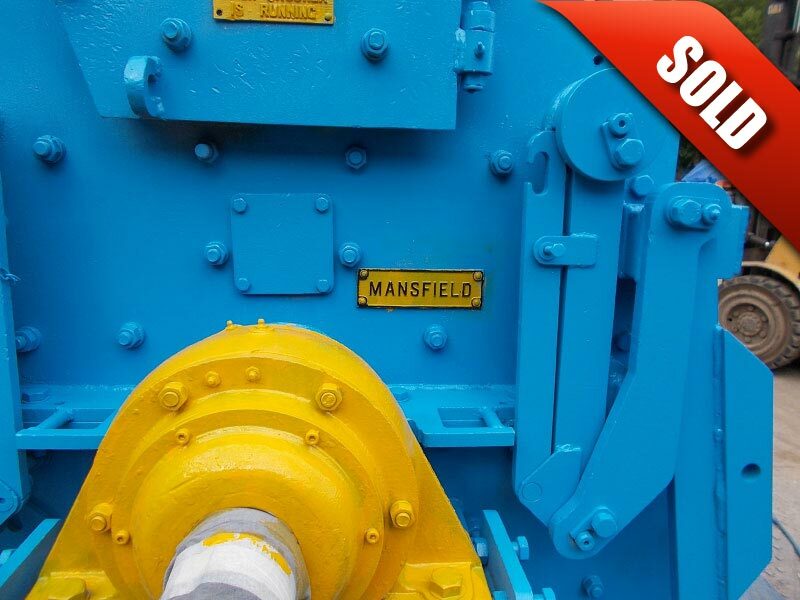 Mansfield No3 Centre Feed Hammermill manufactured in the U.K. 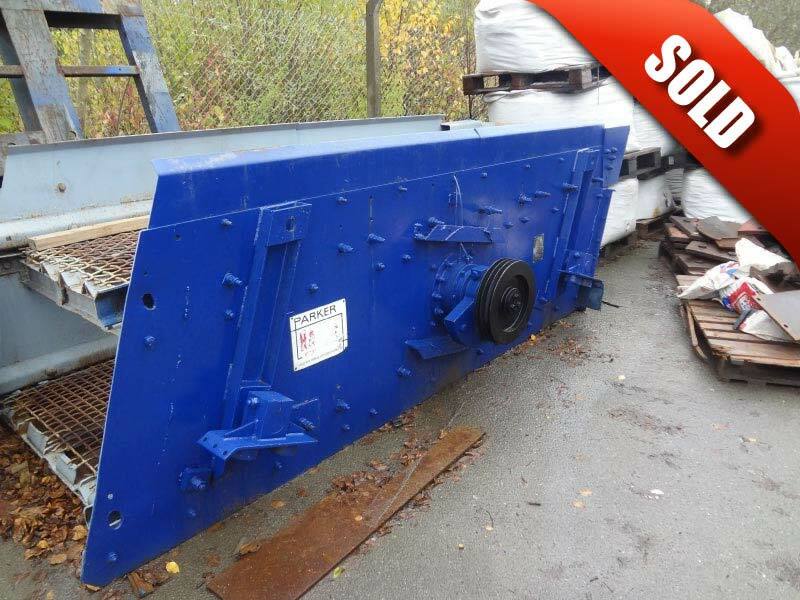 Recently refurbished with new wear parts where required. Can be supplied with motor and drives along with mobile and static structures as an optional extra. 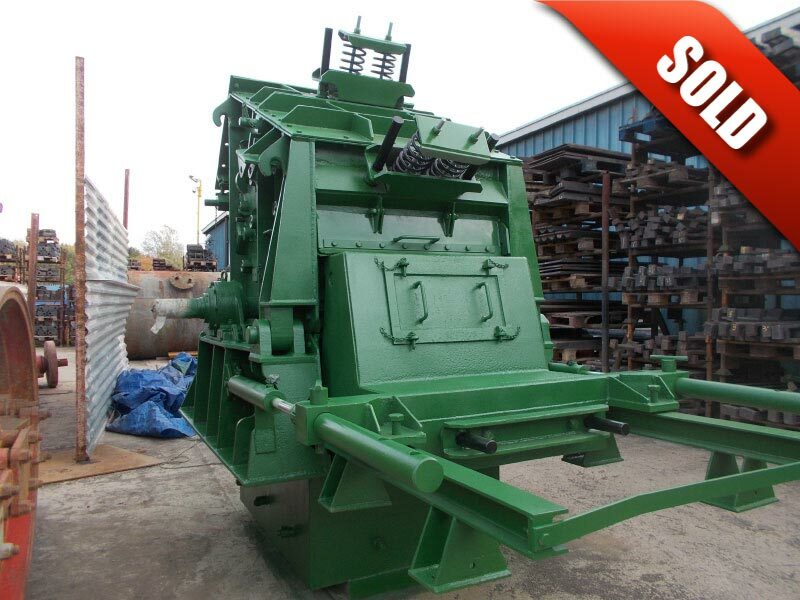 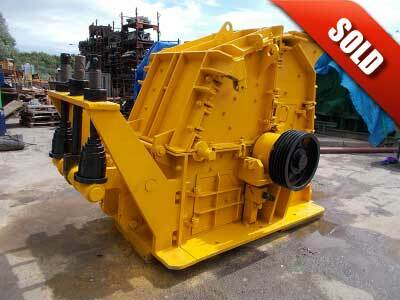 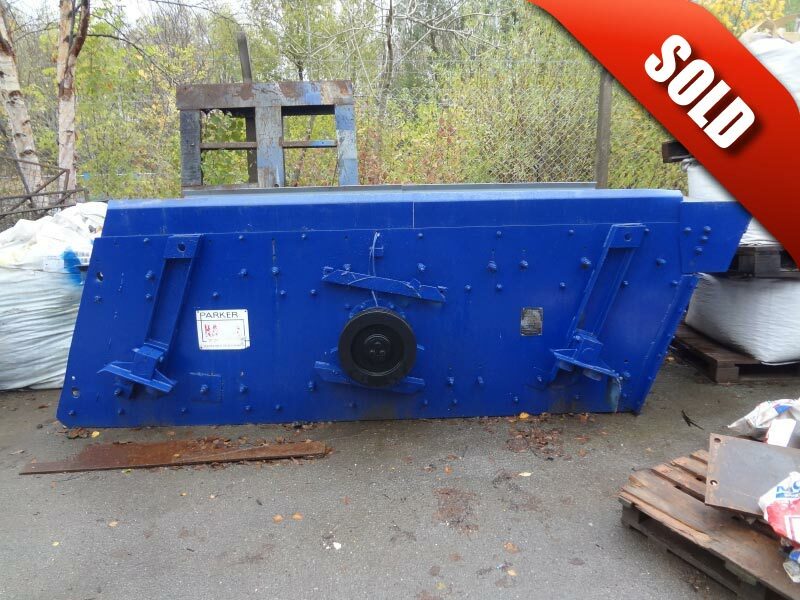 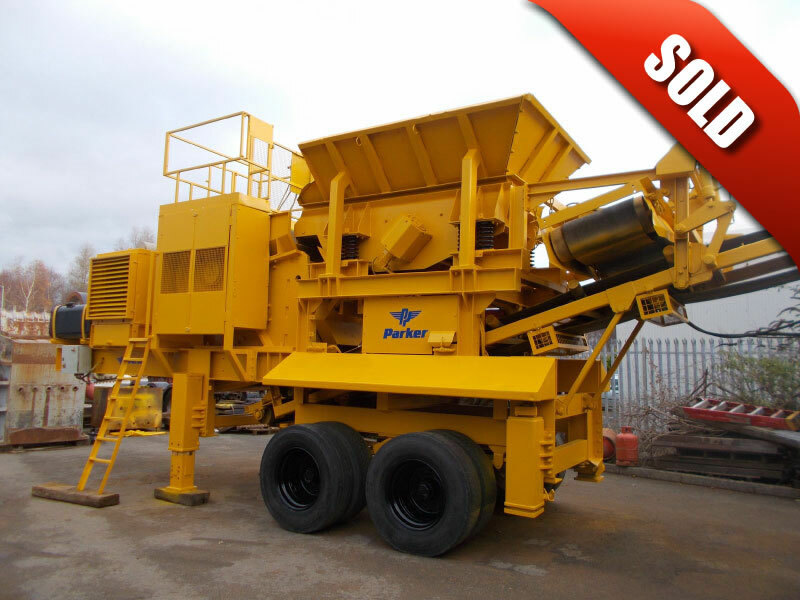 Parker RW0850DH Mobile (Wheeled) 800mm x 500mm Jaw Crusher Capable of up to 140 tph. 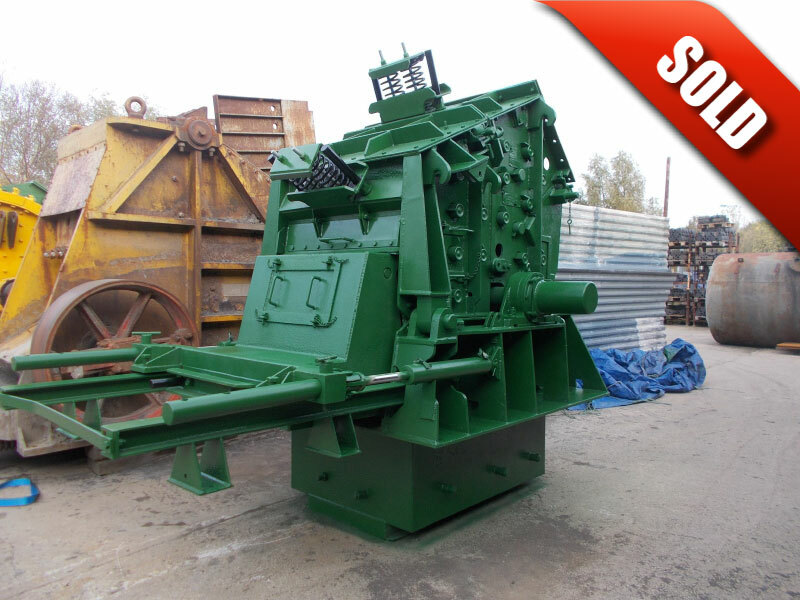 This machine has recently been refurbished with new toggle plate, toggle frames, toggle seat, cheek plates, jaws, and a clutch. 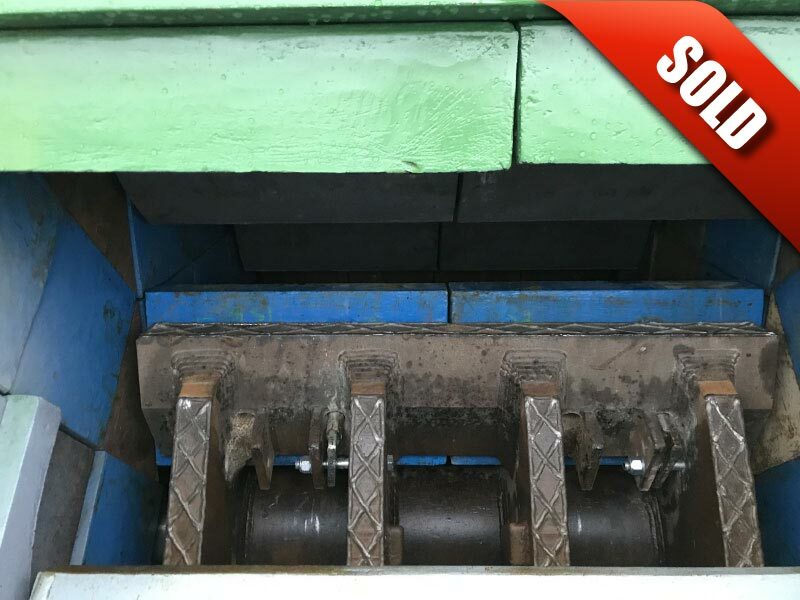 The engine has recently been serviced with new filters, oil and an air pre cleaner. 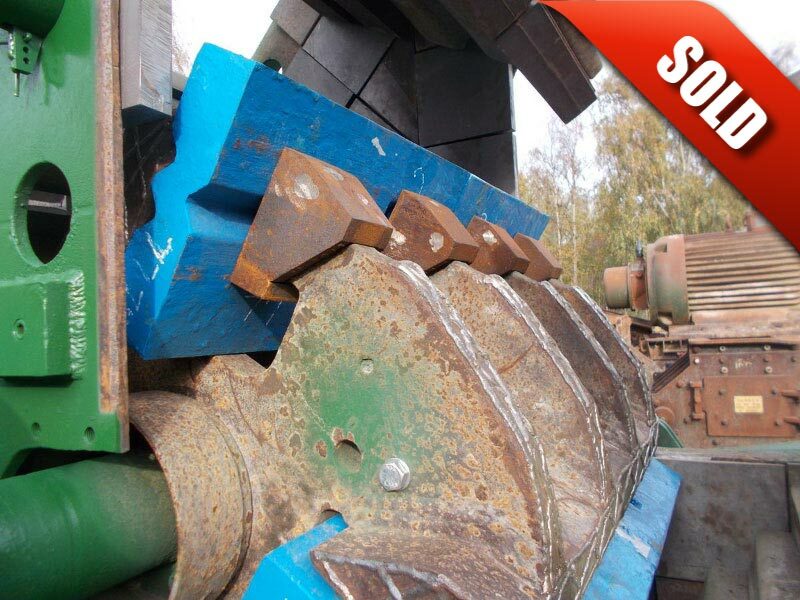 Hazemag APK 105 Impact Crusher for high strength abrasive feeds. 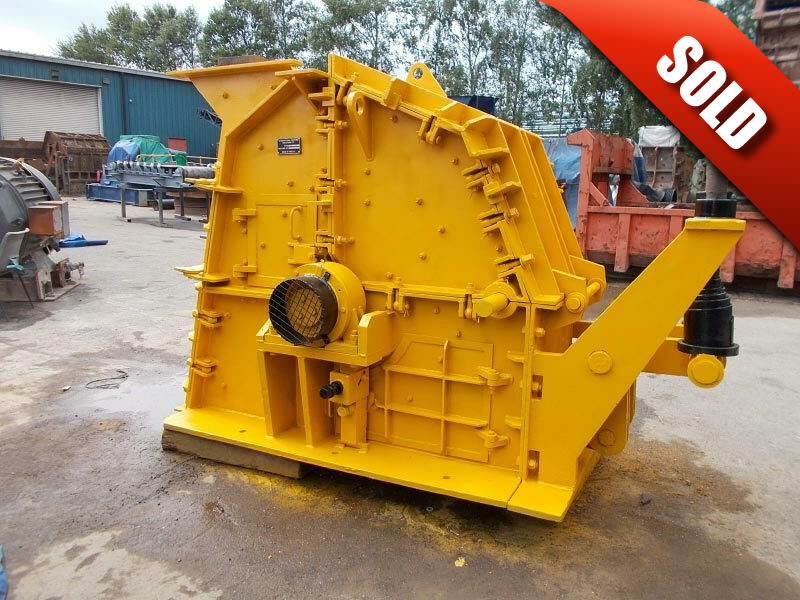 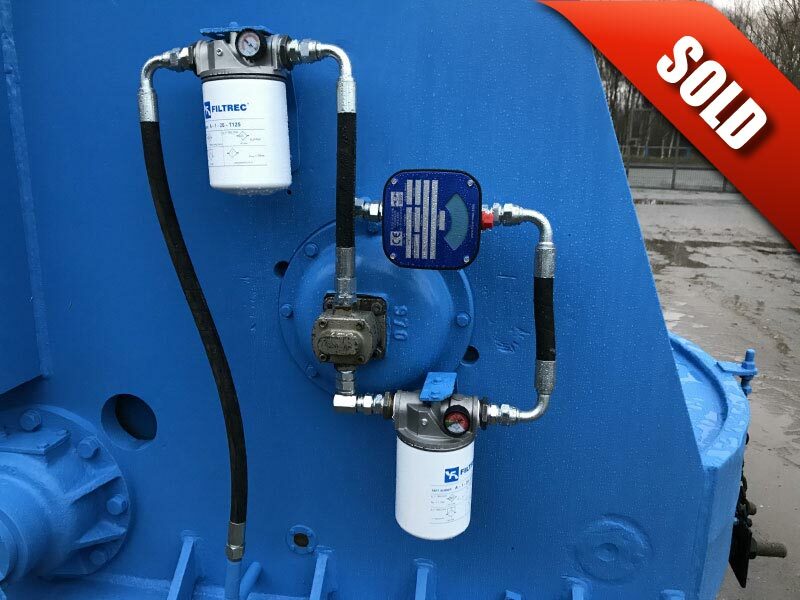 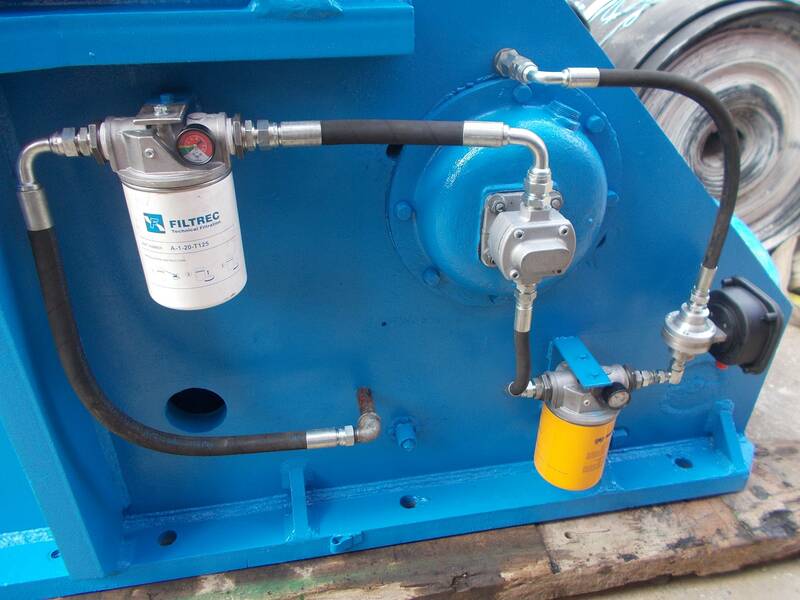 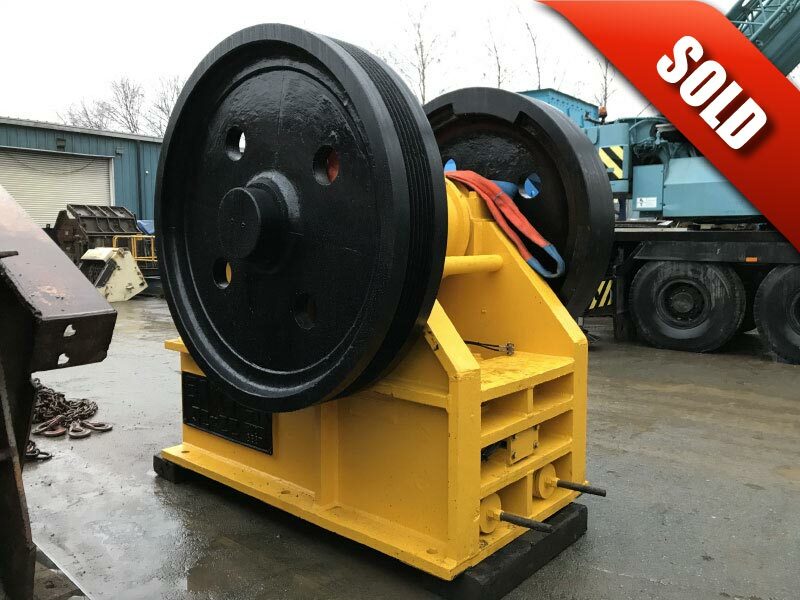 Refurbished with new bearings, blowbars, hard facing to rotor and wear parts where required. 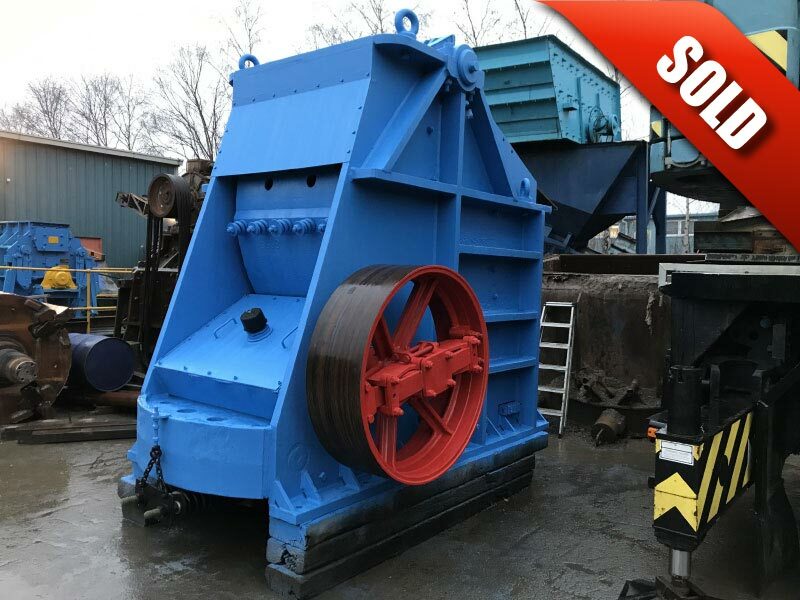 Comes with 150kw electric motor, drive belts and hydraulic power pack for the opening and closing of the crusher and adjustment to the grinding path. 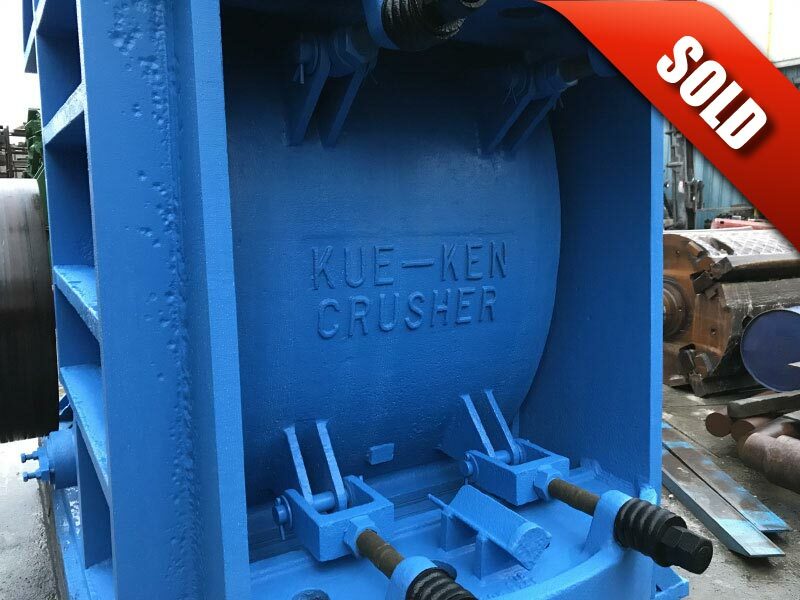 Kue Ken 120 Jaw Crusher capable of up to 300 tph at 280mm and 190 tph at 150mm closed jaw setting. Goodiwn 42" x 24" Jaw Crusher capable of up to 240 tph at 150mm and 70 tph at 60mm closed jaw setting. 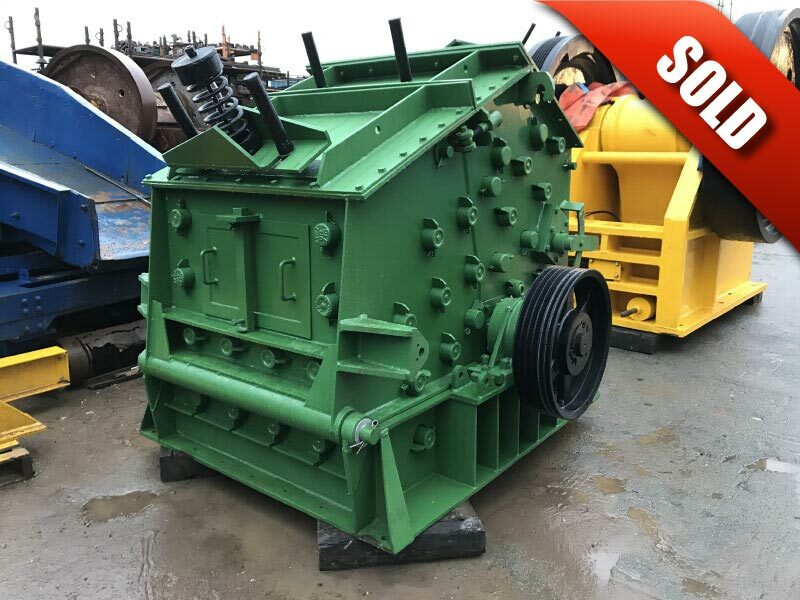 Refurbished with new jaws and cheek plates. 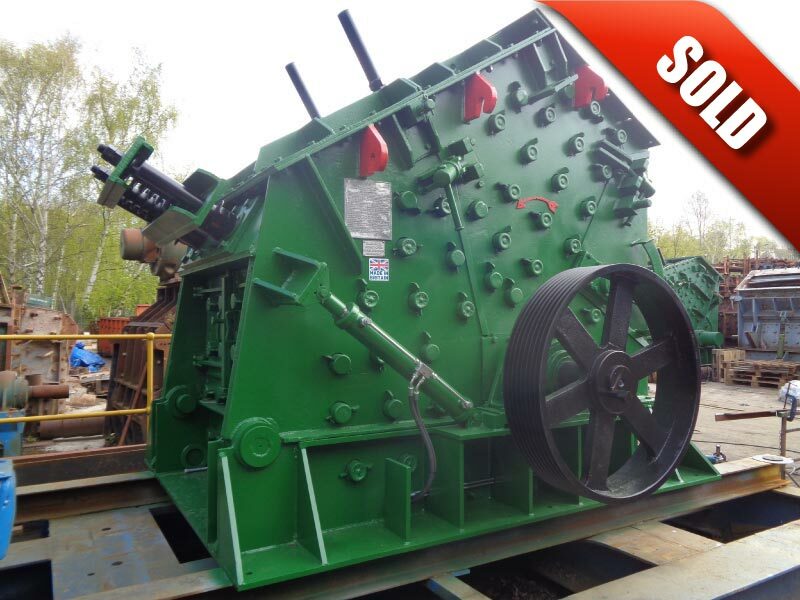 Comes complete with Leeroy Somer motor, pulleys and drive belts. 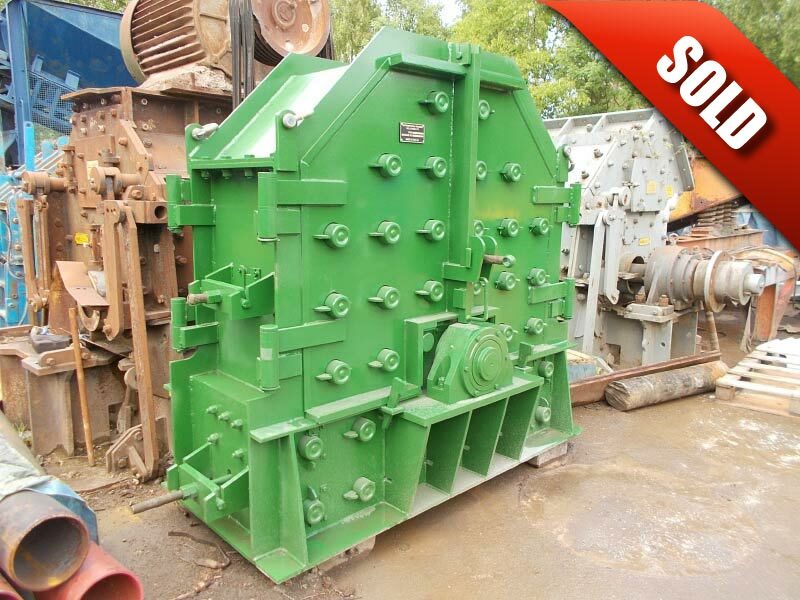 Parker 105 Kubitizer MK2 Impact Crusher for producing cubical product. 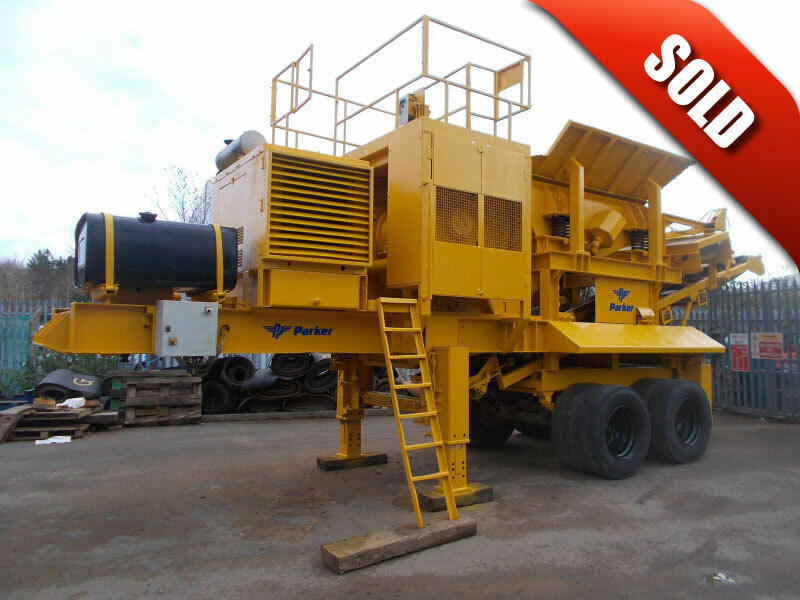 Refurbished with new wear parts where required overall good condition and ready to work. Fully refurbished with new jaws, cheek plates and bearings. Supplied with motor, pulley and drive belts. 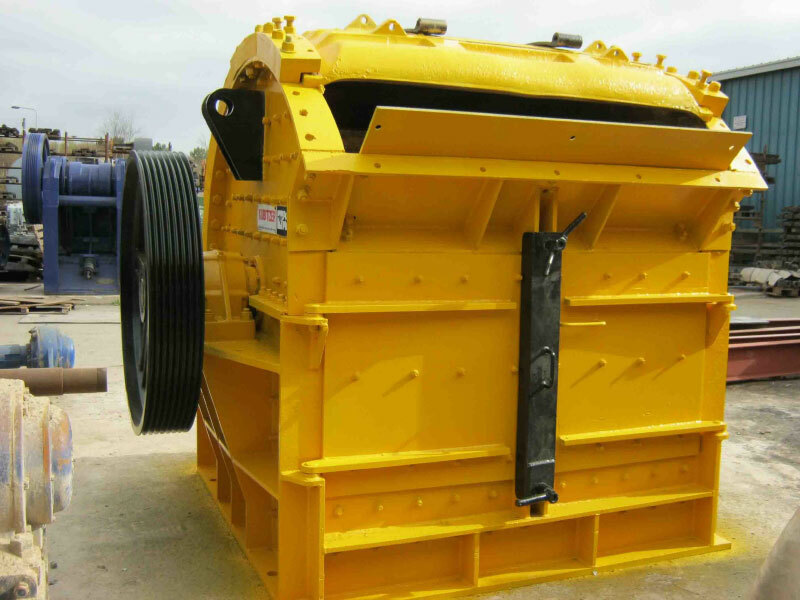 Reversible Sand Impact Crusher capable of up to 60 tph. 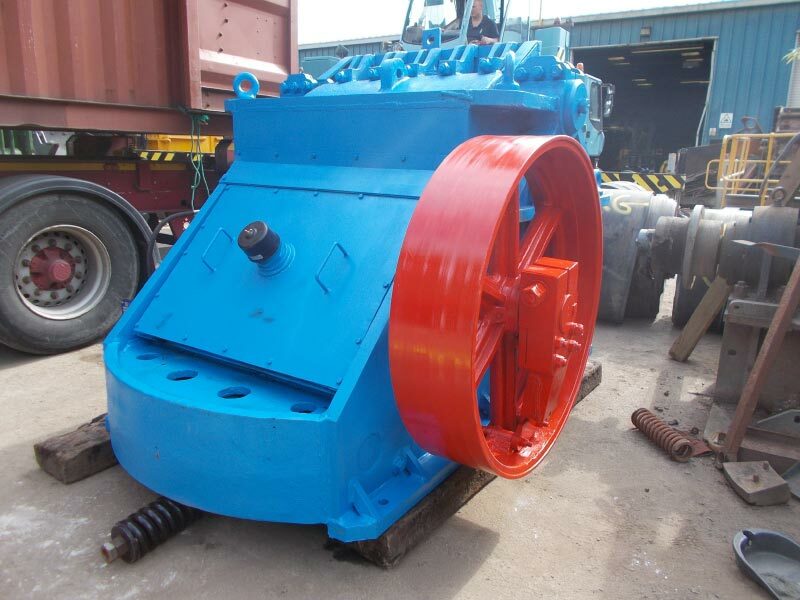 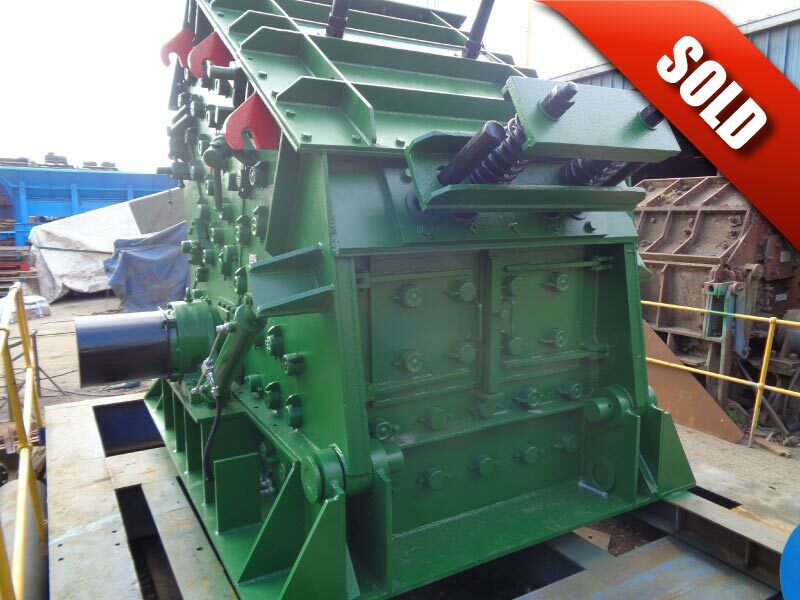 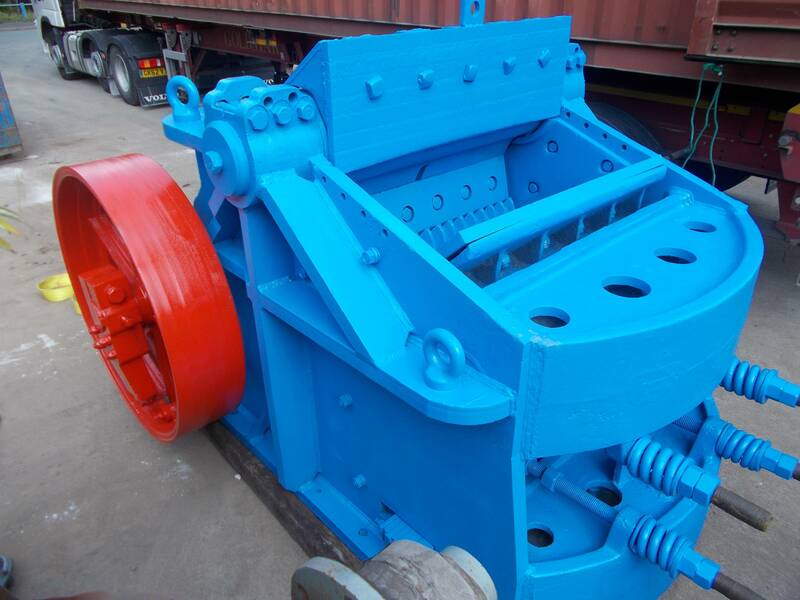 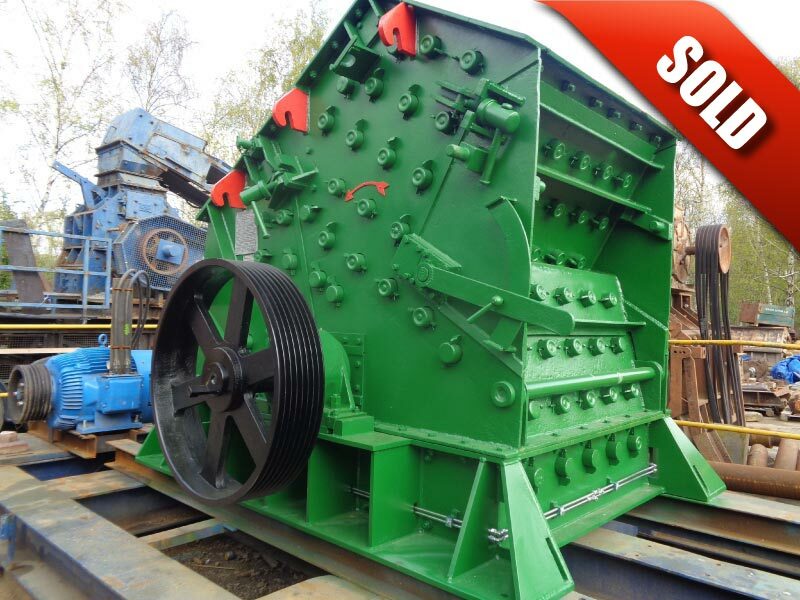 SBM 10/6/4 E2 Impact Crusher. 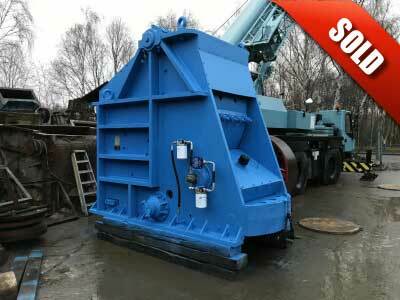 Refurbished with new bearings and blowbars, overall good condition and ready to work. 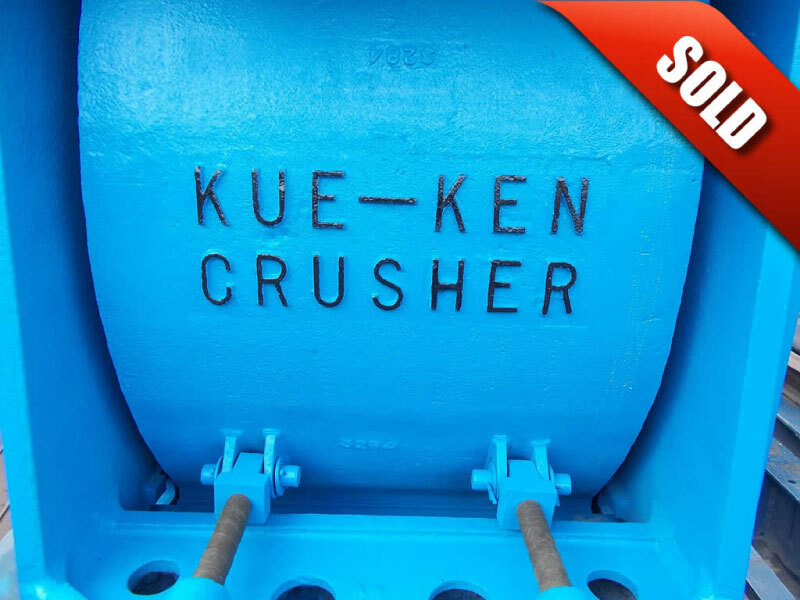 Kue Ken 107 Jaw Crusher capable of up to 180 tph at 150mm and 60 tph at 50mm closed jaw setting. 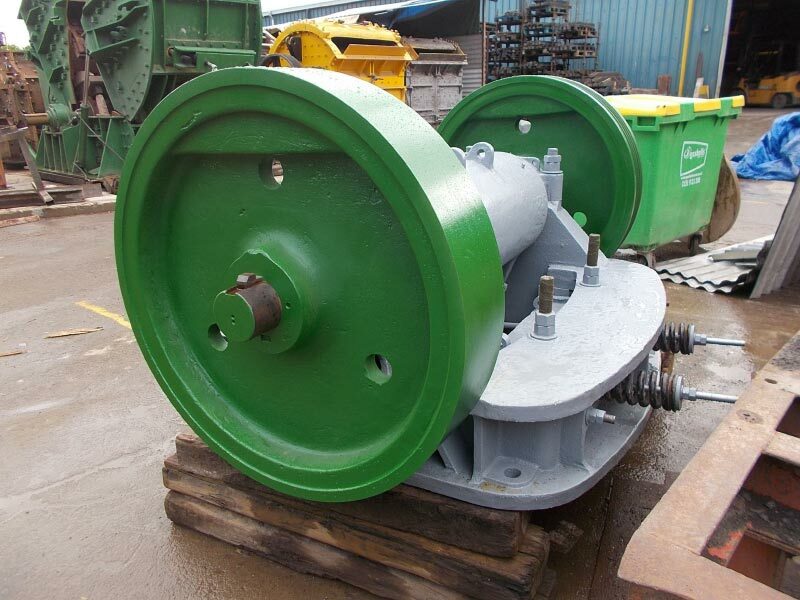 Supplied with new motor, pulleys and drive belts. 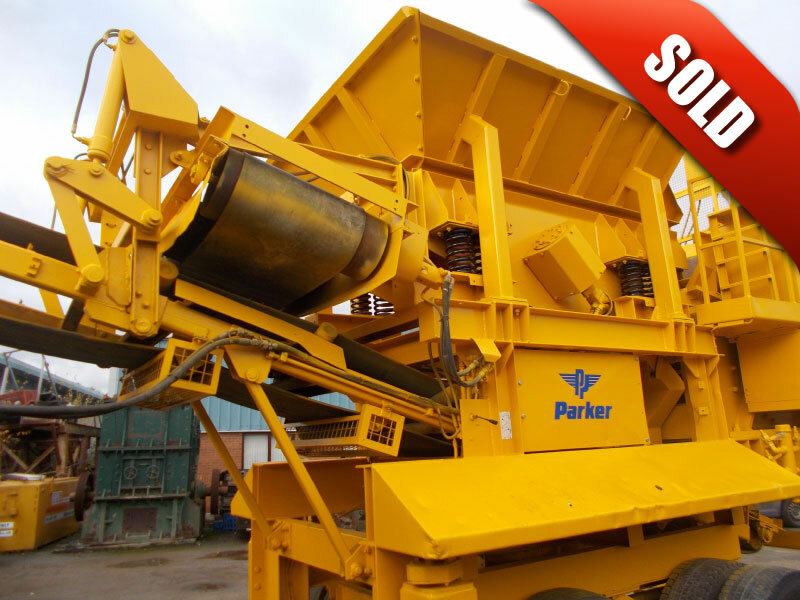 Parker Rapide Two Deck Screen manufactured in the U.K.
Two Deck Screen with an area of 10' x 4'. 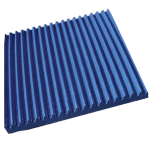 The screen mats can be manipulated to change the size of the product required. 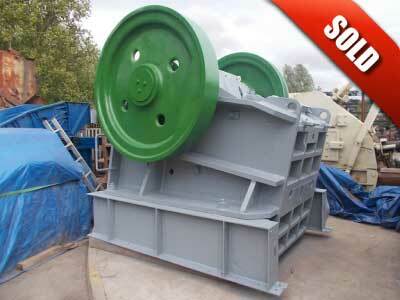 Supplied with 22kw Motor, Screen Legs & Springs.